Did You Know This About TV? 80% of TV Viewing is still in Standard Definition. Although 56% of homes in the U.S. now have a HDTV, only 20% of TV viewing is being done in high definition, according to the Nielsen Company. Few Ads are in HD. TV networks may be moving quickly on developing HD programming, but advertisers are far behind. 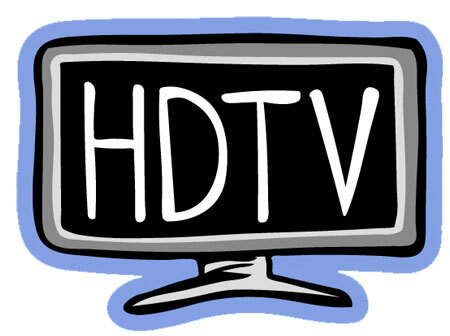 A new study from Extreme Reach, says just 13% of all TV commercials that ran in 2010 were produced in high definition. People do more than watch TV while watching TV. A study of over 8,000 people from Nielsen and Yahoo recently discovered that 86% of mobile Internet users play around on their devices (smartphones, iPads, etc.) while watching the tube. It seems that Googling random facts, checking their Facebook news feed and checking their Twitter account were atop the list of activities to do while watching TV. A bit of good news for advertisers: 20% confessed to search for more information about a commercial they recently saw.